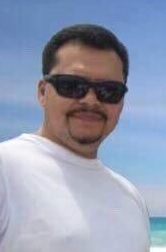 Anthony Gonzalez, age 53 passed away peacefully, surrounded by his loving family on Sunday, May 20, 2018 at MacNeal Hospital in Berwyn. 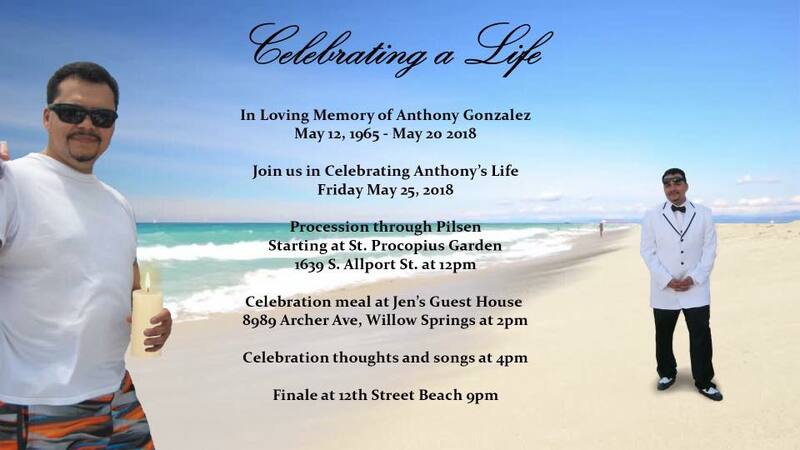 Services: Friday, May 26, 2018: Memorial Service 12:00 p.m. celebrating Anthony’s Life at St. Procopius Church, 1639 S. Allport, Chicago. Anthony’s ashes will be blessed, followed by a procession through Pilsen, where Anthony was born and then to Cicero where he lived the remainder of his life. 2:00 p.m. – Celebration meal at Jen’s Guest House, 8989 Archer Ave, Willow Springs. Family and close friends will gather to enjoy a last meal in his memory. 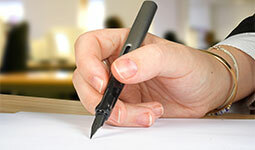 4:00 p.m. – Celebration thoughts and song. 9:00 p.m. – We will follow with a gathering for all who would like to pay their respects. We will end his celebration at 12th Street Beach, Chicago, where paper lanterns will be released in his memory.